LAUGHLIN – The Spring Collector Car Auction, hosted by Boulder City Auto Gallery, will be held April 13 – 14, 2018, at Don Laughlin’s Resort, located at 1650 S Casino Drive, Laughlin, Nevada. Part of the revenue generated from the auction will be donated to River Fund, Inc., a local non-profit agency providing direct emergency and crisis services for individuals and families in Bullhead City, Fort Mohave, Golden Shores, Golden Valley and Mohave Valley, Arizona, and Laughlin, Nevada. Auction officials estimated that more than 300 collector cars, trucks and motorcycles will be going across the auction block during the event. 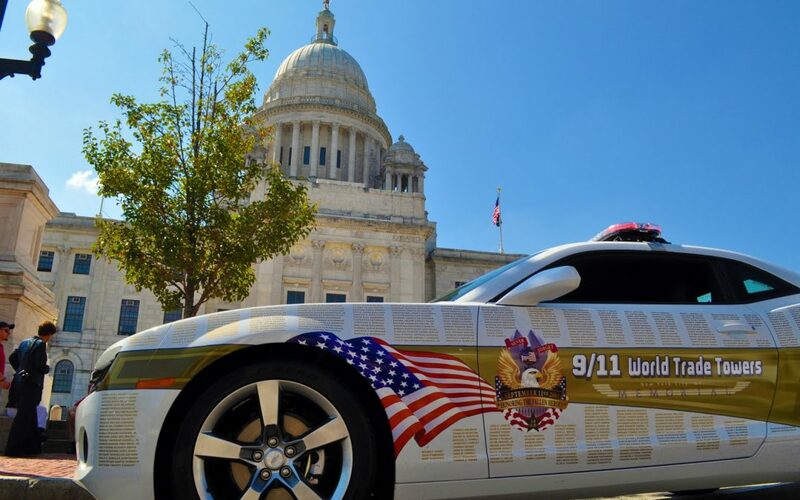 Five special 9/11 Angel Memorial Tribute Camaros will be shown and auctioned off during the event. They are “fallen heroes” Camaros designed by Actor Kevin Major Howard “Rafterman,” the combat photographer in the movie Full Metal Jacket. Howard, who currently heads “Fueled by Fallen, a non-profit organization that supports American heroes through display and tour of the 9/11 Angel Memorial Tribute Camaros, will be the special guest during the auction. This will also be the first public offering of his 9/11 Angel Memorial Tribute Camaros. The Camaros include: Angel 1 that carries the names of all Police, Fire, and Paramedics that fell at Ground Zero; Angel 2 and Angel 3 are adorned with all those that fell in the Trade Towers; Angel 4 carries the names of those on Flight 77 and the Pentagon; and Angel 5 is all of the flight victims. Another of Howard’s vehicles being auctioned off is a 1962 Chevrolet Nova memorial tribute car dedicated to those U.S. Marines who died in Afghanistan. People who would like to view the 9/11 Memorial Tribute Camaros prior to the auction can do so by visiting the second-floor classic car showroom located inside Don Laughlin’s Resort where they are currently on display. The cost of putting a vehicle into the auction is $250, with a five percent buy fee and a five percent sell fee. All bidders must post a $100 deposit that will be applied to any purchase. People who would like to have their vehicle in the auction can do so and they can place a “reserve price” on it. There is no entrance fee for spectators who would like to visit the auction. The primary underlying need for assistance through River Fund Inc., the benefit charity of the auction, can be attributed to calls for emergency assistance. Other basic needs such as rent money, food, temporary shelter, medical and pharmaceutical needs, vehicle repairs, pre-employment work cards, electric bills, identification documentation, and similar issues result in a large number of requests as well. River Fund Inc., is a 501(c)(3) non-profit organization and is located at 1343 Hancock Road, Bullhead City. People with need can contact them at (928) 704-0039. For further information about the Spring Collector Car Auction or to enter a car, call Boulder City Auto Gallery at (702) 757-5431, email them at bcautogallery@gmail.com or visit their website at bouldercityautogallery.com.